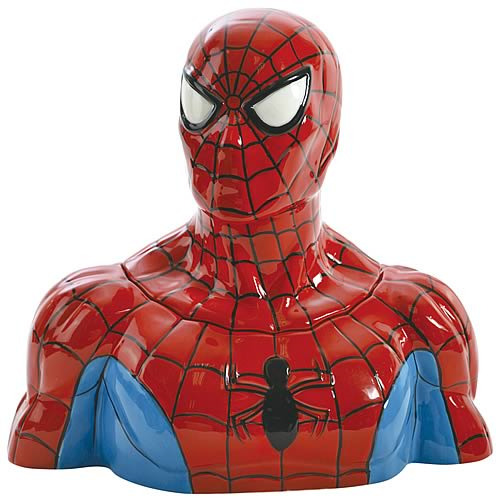 Shopping for Spider-Man Cookie Jars? Spider-Man's totally got the cookies under lockdown. Nobody's gonna be getting to any cookies without his permission... unless they take his head off. I guess Spidey's not the best watchman for cookies since he loses his head over them, but that's ok. You'll forgive him, right? He's such a good-looking 10-inch tall ceramic cookie jar, after all!